A few months back, Reagor-Dykes Auto Group was held up as a model example among Ford dealers, having earned an award from the automaker for customer sales and satisfaction. Now, Ford claims the auto dealer chain defaulted on $41 million in financing agreements by falsifying records to obtain extra loans. On Tuesday, Ford Motor Credit, the automaker’s financing unit, filed a lawsuit in federal court against Reagor-Dykes and its owners, Bart Reagor and Rick Dykes, alleging the company fell into default on several loan agreements after engaging in an unusual variety of frauds. 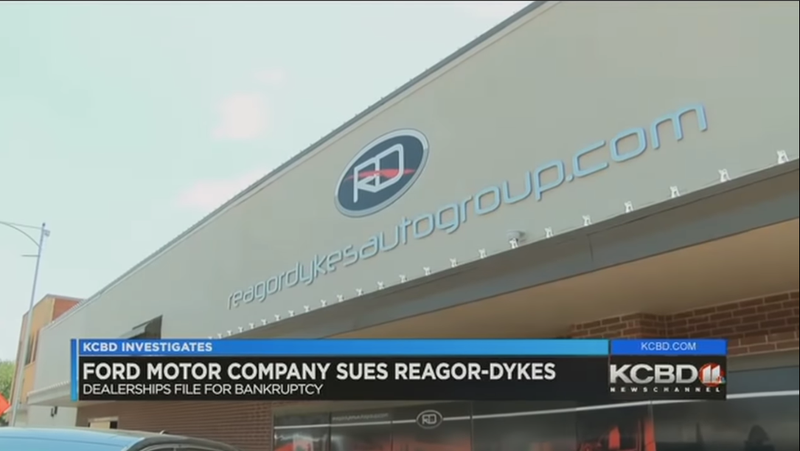 As a result, Reagor and Dykes were forced to file bankruptcy and found themselves unable to make payroll this week for the 304 workers employed across five car dealerships in the Lubbock, Texas area. Put simply, the situation is a mess. The issue stems from a June 2018 audit of the Reagor-Dykes inventory, according to the complaint. Ford reviewed information for 150 reported sales from across the Reagor-Dykes dealerships and found 147 of the vehicles didn’t match what was reported by the Texas DMV and other publicly-available records, the complaint claims. Reagor-Dykes claims in court that Ford had already conducted an audit in June and found a “clean bill of health” and were commended for its performance. But Ford says it conducted a later analysis in June that revealed “substantial variances” between the dealership’s reported sales data and other records reviewed by the company, with an average discrepancy of 55 days between when the vehicles were sold and when they were paid off. Why does this matter? It’s because of the unique financing method deployed by dealers to obtain cars they can later sell. Known as “floor plan” financing, dealers use a line of credit to purchase a car, and when it’s sold, they typically only have a very short period of time to pay off the loan. In Reagor-Dykes case, the complaint says Ford permitted them seven processing days to pay off its floor plan financing. “In fifteen (15) other instances, Ford Credit’s initial analysis indicated that the Reagor-Dykes Dealerships sold a vehicle and then, after it was sold, floorplanned that vehicle with Ford Credit even though it was no longer in inventory, thus obtaining financing payments from Ford Credit under false pretenses,” the complaint alleges. Bart Reagor apparently didn’t take the results of the audit too well, according to an affidavit from Gary Byrd, Ford Motor Credit regional manager for the Dallas area. Reagor confirmed he made this threat in text messages later on, Byrd said, and it resulted with Ford Credit “sending its corporate security team” from Dearborn, Michigan to Lubbock to meet with him. Later that day, court records indicate, Ford cut off the spigot and stopped providing financing. The situation forced Reagor-Dykes to file Chapter 11 bankruptcy on Wednesday, listing $10 million to $50 million in assets and liabilities. The dealer chain asked a judge immediately for approval to use cash collateral to pay employees and keep the lights on. “In order to maintain the continuity of the Debtors’ business and to preserve the morale of the Debtors’ labor force, it is important that the Debtors be permitted to pay their employees the prepetition wages, employee benefits, and other pay that have accrued but that remain unpaid, and to honor the existing employee benefits, at the Debtors’ discretion in the ordinary course of business,” the dealers wrote in a filing. If they can’t make payroll, the dealers’ employees will likely walk away, forcing Reagor-Dykes to shutter and liquidate its assets, the filing says. Ford asks in the complaint for an estimated $40 million in damages to be repaid, and says Reagor-Dykes is believed to owe more than $116 million to the automaker. Both sides are due in court next week for a scheduling conference.